—Since 1994 Noranda’s Brunswick #12 Mine has complemented their MP250/Queen’s Full Waveform seismic systems with an ISS (Integrated Seismic System). Time histories of ISS source parameter information form a component of the daily ground control decision-making. 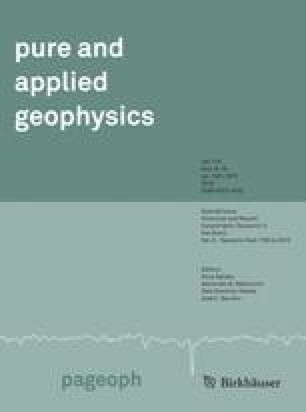 This paper discusses a methodology for microseismic hazard assessment, which filters ISS data using energy, apparent stress and seismic moment criteria to identify those events that are relevant for the assessment and decision-making process. Seismic events are classified into four groups (1) no or minor hazard; (2) seismically-triggered, gravity-driven hazards; (3) stress-adjustment-driven hazards resulting in bulking due to rock mass fracturing; and (4) deformation-driven hazards exploiting existing rock mass damage. Three case histories from 1994–1996, for the 1000 Level South and the 850 Level at Brunswick Mine, are analyzed using this technique to calibrate and verify the proposed methodology. Key words: Rockbursts, hazard assessment, microseismicity, source parameters. Received February 9, 1998, accepted August 7, 1998.